According to the jury in a recent Washingston state trial, Intuitive Surgical Inc., the manufacturer of the da Vinci Robotic surgical device systems wasn’t negligent in a wrongful death claim. The family of the plaintiff filed a lawsuit alleging that the company was negligent in its training of a doctor who performed the robot-assisted surgery on a patient who died. Jurors in Port Orchard, Washington, reached their verdict after a five-week trial. The case was the first to go to trial of at least 26 lawsuits against Intuitive alleging injuries from its da Vinci robotic system, which was used in more than 300,000 U.S. operations last year. Robots and related products generated most of Intuitive’s $2.2 billion in revenue in 2012. The robots, which are spreadspread in over 1,300 U.S. hospitals, cost $1.5 million each and were used in 367,000 U.S. procedures in 2012. 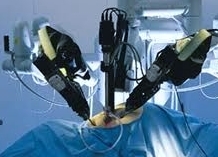 Surgical operations are done using the robot include prostate cancer surgery, hysterectomy and gall bladder removals. Friedman argued at trial that Intuitive’s actions and recommendation is that surgeons are prepared to perform robotic procedures alone after just two supervised robotic surgeries following a one-day session at company headquarters in Sunnyvale, California. That recommendation, which appears in company documents describing “best practices,” was the idea of Gene Nagel, who was an executive in charge of training and development and “a former wine salesman with no prior training” in medicine or medical devices, Friedman said in his closing arguments. According to Intuitive’s lawyer, the plaintiff Fred Taylor was morbidly obese, and that his urologist, Scott Bildsten, ignored specific instructions that for his first several procedures with the da Vinci, he should choose simple cases and patients with a low body-mass index. Taylor experienced multiple medical complications following the surgery and died last year. Bildsten had performed 100 successful prostatectomies using traditional methods. Taylor was his first patient using the da Vinci unassisted. After seven hours of difficulty, Bildsten and other doctors turned to traditional surgery and then emergency care to repair a rectal laceration. The case is Estate of Fred E. Taylor v. Intuitive Surgical Inc., 09-2-03136-5, Superior Court, State of Washington, Kitsap County (Port Orchard).